Wonder what legendary animator Hayao Miyazaki and his Studio Ghibli are up to? 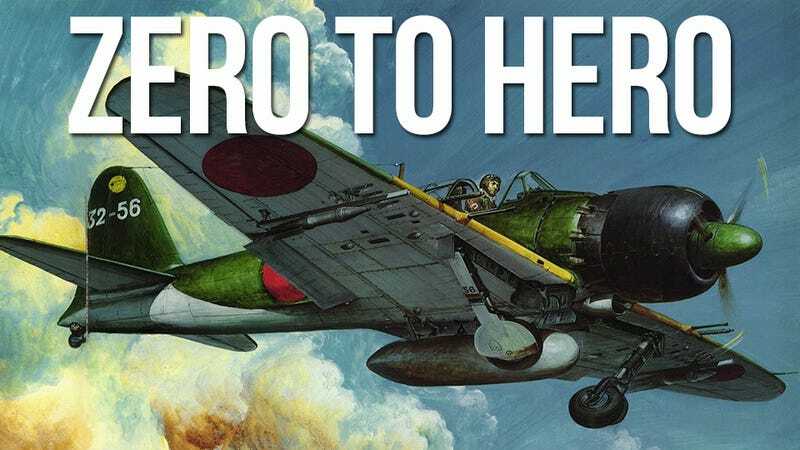 According to animator director and illustrator Osamu Kobayashi, Miyazaki is working on a feature on the World War II dogfighter, the Mitsubishi A6M Zero, and its designer, Dr. Jiro Hirokoshi. As far as iconic Japanese fighter planes, they don't come more iconic than the Zero. Imperial Japan built more of those aircraft than any other plane during World War II. Starting the war with a kill ratio of 12 to 1, the plane combined maneuverability with long-range capability. The plane was also used in kamikaze attacks, especially as the war's end neared and the situation for Japan became increasingly desperate. The story of Dr. Hirokoshi and his plane sound like they'd make good film fodder, but does that mean a definite Studio Ghibli anime? The studio hasn't comment, but some Japanese anime insiders are convinced. Kanada's wife then tweeted that her husband loved airplanes and would've wanted to be a part of this production. "It happened too late," she added. "It's unfortunate." If Studio Ghibli does make a World War II, don't expect militaristic chest beating. Studio Ghibli head Toshio Suzuki previously stated that he was glad Japan lost World War II. Studio Ghibli also previously stated that Miyazaki is working on a biography—but it did not say whose biography. If these tweets from Japanese insiders don't add fuel to this speculation, there's a YouTube clip from 2009 in which Miyazaki checks out a model Zero in flight. Miyazaki can be seen at around the 3:30 mark. But will a Studio Ghibli film on the Mitsubishi Zero be seen in theaters? Stay tuned.